One of the disadvantages of having your own consultancy is that you either travel or you are in your office by yourself. At BIK, we just changed that. Meet our new office mate, Luke. Ok, BIK has never been completely alone. There are the lunches with clients, partners, former colleagues and friends. And, of course, there was Anton. Yes, I use the past tense because our dear friend passed away rather quickly a little over four weeks ago. I am grateful for all the many years we spent together. He left a big hole, though. 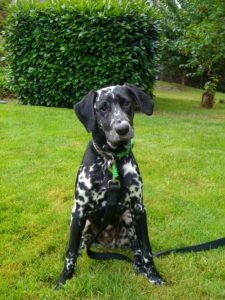 Since there is no travel scheduled for a while and it got too quiet in the office very quickly, we adopted a 5-months-old Dalmatian-Lab mix. I don’t expect that you will be hearing from him all that often (although he is a great opera singer!). But I thought you should know what I have been busy with. Meet Luke and stay tuned for a trip report on HCI International 2011. Bärbel, I´m sure, Luke will do a good job in your consultancy! He is actually easier to have than expected, Sue. Of course, he isn’t housetrained yet, so I get to get up from my desk every two hours. But that is a very good thing. Otherwise, he plays with his ball, chews on the kong or sleeps in his donut next to my desk. July has turned into a busier month than expected, but so far so good for both of us. What a beautiful dog! I can’t imagine my working life anymore without my canine companion. He keeps me engaged with the real world and makes me more productive with relaxing breaks. May you enjoy him for many, many years! That is very well put, Kevin. And thank you:-). Congratulations on the new addition to the family! He is gorgeous 😉 I had a rare day of working at home and loved being able to have my dog around me. Have fun with Luke! Thanks, Marta. When I worked from the Munich office for Microsoft, Anton could come along; that was great for both of us. I hope you get to enjoy more days at home with your little doggie. I am very sorry for Anton. I’m sending a virtual hug. And welcome to Luke, he’s very cute! Thank you, Marco. It was tough losing Anton. My only consolation was that he didn’t have to suffer as he basically went from one day to the next. 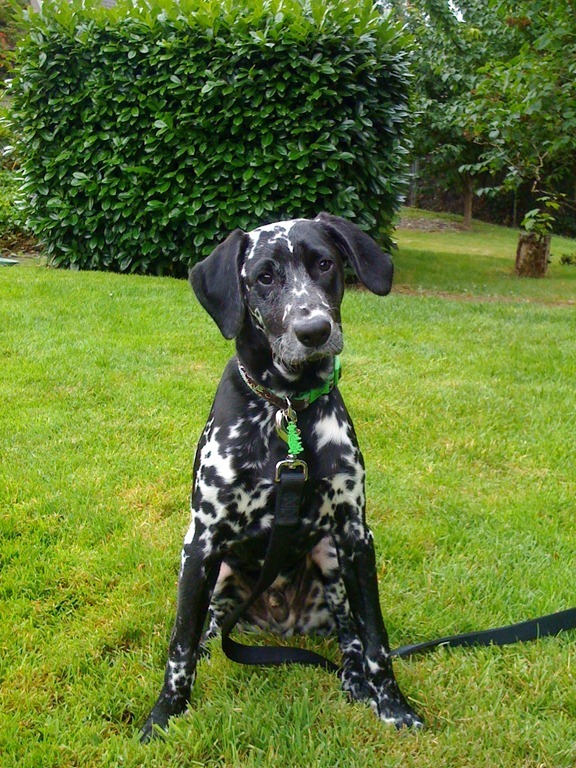 Luke came to us via the Dalmatian Rescue, and he is a real joy.